Furr Family Four: Party time! birthday cake, originally uploaded by jodifurr. We made it to Arkansas last weekend and celebrated Ruston's birthday. We had it at the skating rink in Russellivlle. It was a good party with family. We don't get to do that too often since we have always lived far away from everyone. 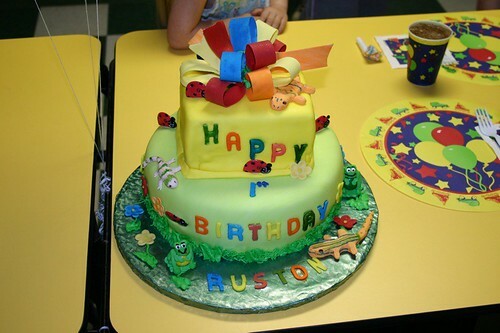 Thanks for your help, Denise, in getting Ruston such an adorable cake! A roller skating 1 year old!